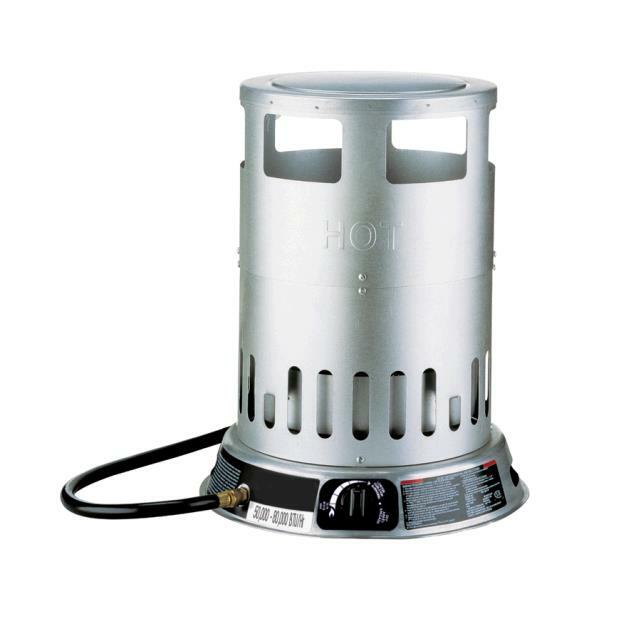 Warm up your garage or workshop with this trash can heater. The 360 degree convection technology delivers radiating warmth, and the included 10-foot hose and regulator allow for easy setup. Capable of heating up to 1900 square feet. 360 Degree convection heater. To keep you warm and comfortable when it's cold. * Please call us for any questions on our 80 000 btu propane convection heater rentals in Dallas, Fort Worth, Plano, Garland, Carrollton, Arlington TX, and DFW Metro Area.